If your child loves to draw, this is a great activity for them to encourage their creativity. These comics can be simple little silly stories, or more interesting adventures, it's all up to your child's imagination and the kinds of comics they want to draw! 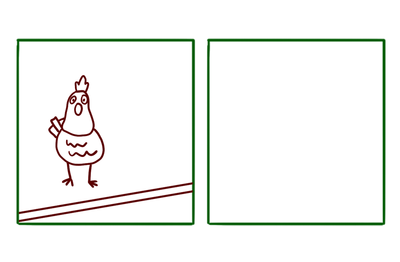 Comics tell stories or jokes using pictures. 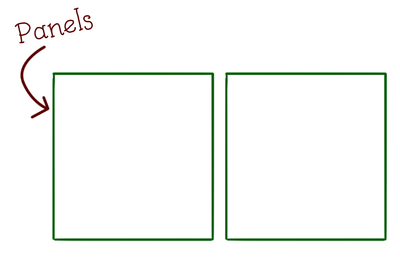 They are made up of one or more boxes, which are called panels. Using a ruler and a pen or pencil, you can draw as many panels as you need on your paper. 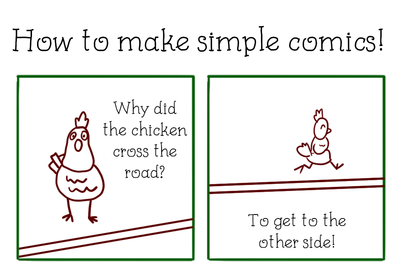 For this exercise, let's tell the worlds oldest joke: "Why did the chicken cross the road?" 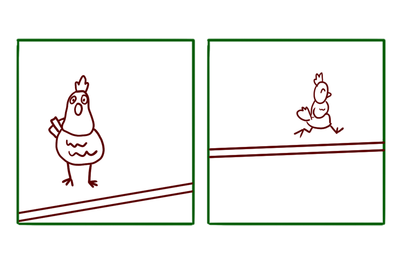 In the first panel, draw our chicken, about to cross the road. Maybe he looks a little bit confused as well! Don't forget to leave room for the words - we're going to add those in last. 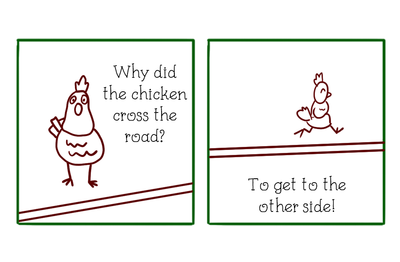 In the second panel, draw the chicken as he's crossing the road. I've given him a little smile as he crosses, but you don't have to. Perhaps he's in a hurry! Now all we need to do is add in the words. Don't worry if you can't fit them in the box - you can add them underneath the box instead if you need to.